Education has been one of the prime areas for studies at CBPS. 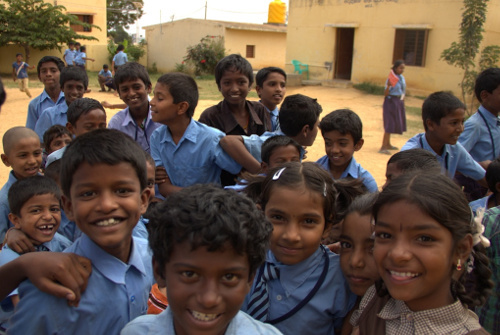 Some of the earlier studies reviewed State Rules drafted for the RTE Act as well as financial and governance challenges for its implementation across different states. Impact of audio-video tools for teaching, quality of acceptance of children admitted under the RTE Act 25% reservation criteria, public expenditure analysis, teacher motivation aspects, review of the working conditions of teachers and community engagement in schools are some of the other studies that were conducted. Currently, CBPS is working on reviewing Open and Distance Secondary Education as a strategy for achieving universalisation of education as well as trying to understand the employment and higher education opportunities for those undergoing distance education through National Institute of Open Schooling and State Open Schools. Another study is analysing the status of education in tribal districts of Maharashtra, primarily through academic and school assessments. The process of online application under RTE Act 25% reservation is also being reviewed in Karnataka.